A completely new Premium family, Extra Argento joins the regular catalogue and is a lineal descendent of Montegrappa’s hugely successful signature creation, the Extra 1930. To ensure the broadest appeal, the piston-fed fountain pen is offered with its 18k gold nib in the three popular grades of Fine, Medium and Broad. 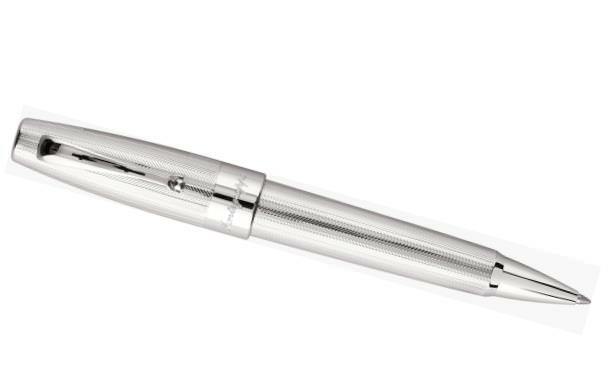 Produced entirely in 100% polished Sterling Silver, the Extra Argento provides, for the first time, a luxury pen in the ballpoint category, the range adding this popular type of ink source to the choice of fountain pen and rollerball. The herringbone tweed motif adds a somewhat vintage and chic gentleman’s feel, a sense of movement and texture unique to each model, adding to the joyful tactility one finds in a superior writing instrument. 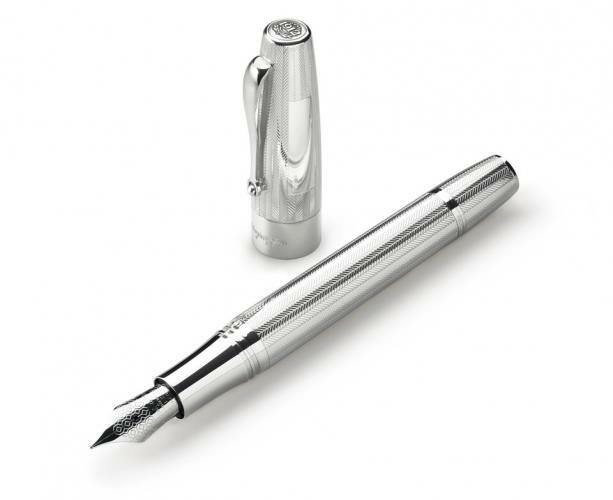 Extra Argento’s beauty is further enhanced by the pen cap, a simple polished silver plate inviting personalisation with custom designs, monograms or initials.